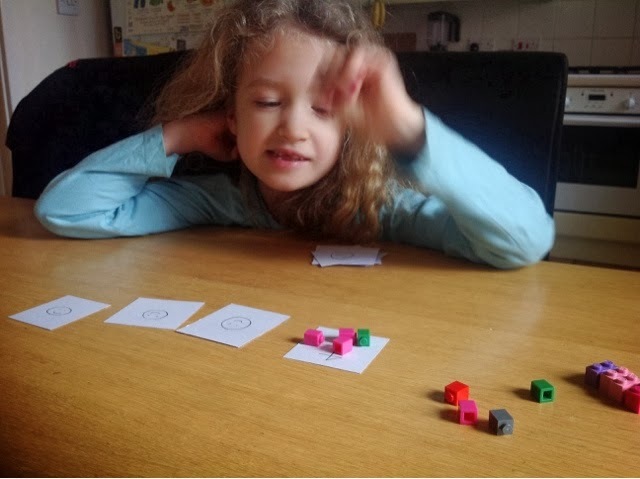 An Ordinary Life : Maths: Lego Fractions Game! I'm sure you've all seen how to teach fractions using Lego before, it's everywhere. Well I made up a way today to use that idea and turn it into a game! It was simple and fun so I thought it was worth sharing here too. Cut 15 cards 4cm-5cm squared. Or Print this Free PDf file out on a piece of card. On the back of each card we drew a smiley face but that is optional. 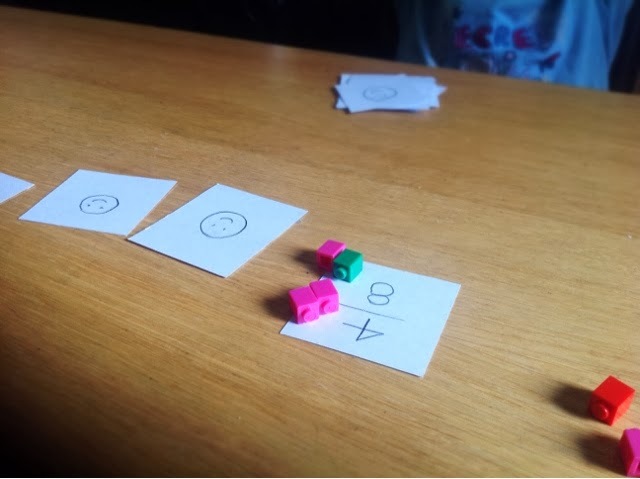 Place all you cards face down on the table as you would for a memory game. How to play the game! To see who should go first, roll a Die and the one with the highest roll goes first. The first player gets to turn over one of the cards. 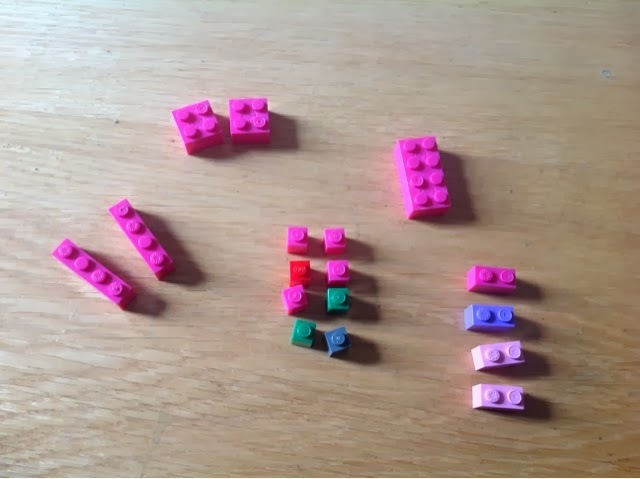 If they can put the right size and amount of Lego blocks to match the fraction they keep the card. If not they turn the card over and play passes to the next person. Play continues like this until there are no cards on the table. The winner is the one left with the most fraction cards. I hope you enjoyed this, if you are looking for more ways to make maths fun visit my Maths Page here.